20 Years Before 2000: Pop Culture Challenge: Here There Be Monsters! Pop Culture Challenge: Here There Be Monsters! I am a huge fan of the Halloween season! I love the candy. I love the costumes. I love Boo Berry Cereal. And I love 80s horror movies! Especially one movie franchise in particular...Friday The 13th! 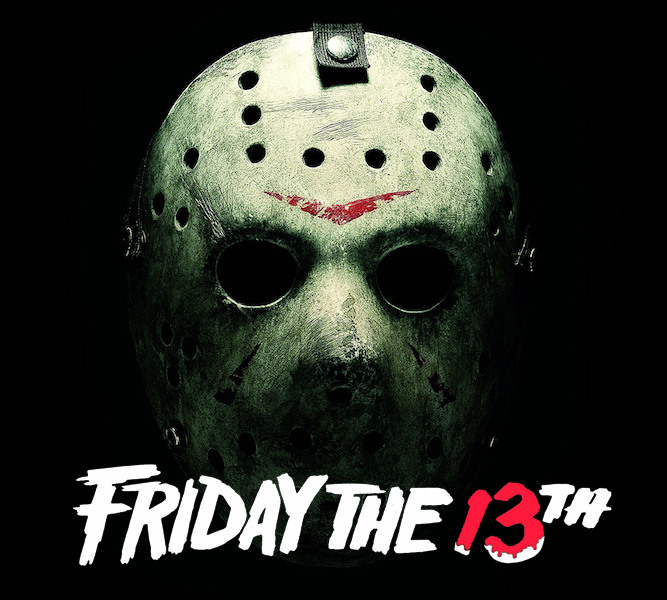 You see, I grew up in the town of Hope, NJ...where parts of the original Friday The 13th movie were filmed! 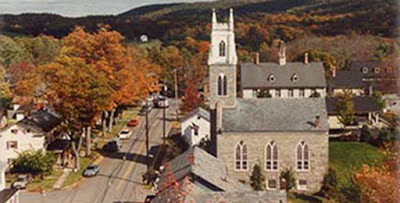 One town over was Blairstown, NJ...where more of the movie was filmed! 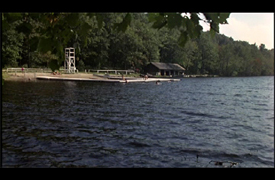 A short drive away was Camp No-Be-Bo-Sco aka "Camp Crystal Lake"! So this week's topic for the Pop Culture League is "Here there be Monsters". Well guess what? The monsters were in my backyard and it was AWESOME! I loved living in Hope and would not trade my childhood for anything. It never creeped me out to know this bit of town history. I feel a sense of pride knowing that I lived in the town where Jason Voorhees was born and a modern horror legend was created. I have walked the tunnel in Blairstown. 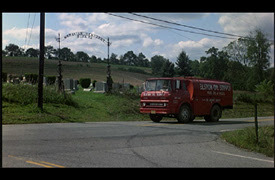 The old Moravian Cemetery was at the end of the street where I lived. We would pass it all the time on our way to the legendary Hope School Basketball Courts. 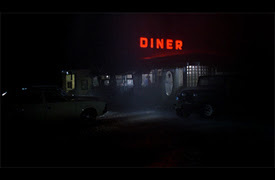 I have eaten at the Blairstown Diner on Route 94. I love their hash browns and highly recommend you go there for breakfast! 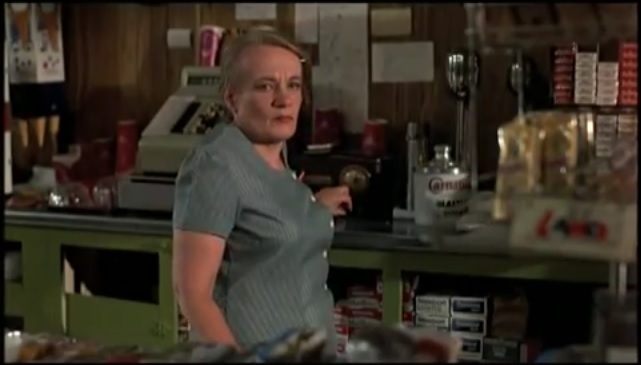 I have been in Hartung's General Store in Hope. We had many friends that worked there and would get us stuff for free like batteries for our Boom Box, Milk Shakes, Bubble Tape and Gatorades! I believe now it is an antique store? I have swam in Crystal Lake after dark and fired off fireworks on the beach on the 4th of July. Writing this blog entry has made me a little homesick. One of these days I would really like to take my kids back home to Jersey, so they can experience all the things I did as a kid and make some memories of their own in the community that Jason built. 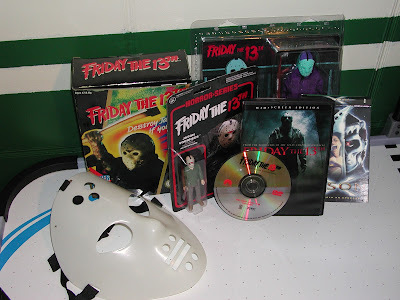 Until that day, I guess I'll bust out my modest Friday The 13th collection and watch some movies to pass the time! Visit these other League Member's pages for more Monster Blogs! Mr. Smith: Talkin bout the King of Monsters, Godzilla! Toy Break: Brings out his creepy Action Figures! I did dress up as Jason a few times for Halloween back in college as an homage to my home town! This is just too cool. Very neat. Just think, years from now, kids growing up near The Walking Dead and Stranger Things shoots will have stories like this. The only movie filmed near my hometown growing up was Lucas featuring a very young Charlie Sheen, Corey Haim, and Winona Ryder. Several friends were extras in the huge school crowd scenes. That's pretty damn cool,dude!I wonder If they have some kind of celebration on every Friday the 13th! There is a small community center in Blairstown and every once in a while they will do a screening of Friday The 13th. Pop Culture Challenge: Here Comes Halloween! Pop Culture Challenge: Are You Scared? Memories from The Dark Side! Retro Reading Corner: Garfield's Scary Tales!